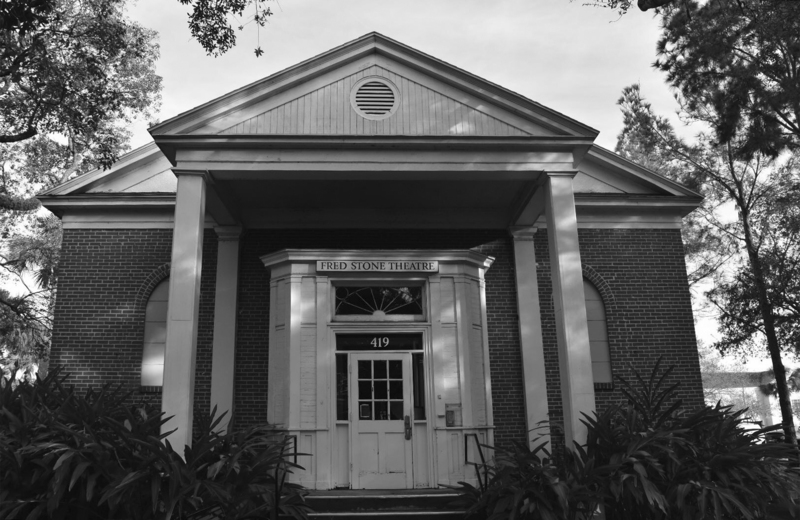 Students in the Department of Theatre and Dance are anxiously awaiting possible renovations to the Fred Stone Theater and other performing arts locations on campus. Students have been made aware of renovations to certain theatre and dance buildings, including the Fred Stone Theatre, the Annie Russell Dance Studio, and the Warden Costume Studio, as well as possibly other theatre- and dance-dedicated locations. Currently, these spaces are somewhat scattered across campus: The Fred Stone Theatre, for example, lies on the corner of Fairbanks and Chase Ave, while the Dance Studio sits next to the Hauck parking lot. The renovations will ideally co-locate the buildings used by the department so that they are more easily accessible. The exact details of what changes will occur are still extremely tentative, with no specific date in place marking the start of the renovations. Theatre students have been very vocal about their support of the renovations. Hannah Gonzalez ’20 is part of the cast of the upcoming production of On the Verge, which is potentially the last play to run in the Fred Stone Theater in its current state. Fiona Campbell ’19 expressed the same mix of anxiety and optimism, as she would be completing her Directing Capstone project, which includes directing a Second Stage production, during the potential interim period without a Fred Stone Theater. “Without that space available, it’s still TBD about when, where, and how I will be able to carry out my capstone.” she said. However, these changes do not just benefit members of the department, but the Rollins community as a whole. 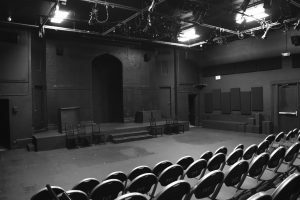 The Fred Stone Theater, currently the only dedicated performance-based classroom, is also home to the Rollins Improv Players and the student-directed Second Stage Series of plays, both of which are widely attended by students, faculty, and the public. Additionally, the Annie Russell Theatre and its productions, whether they be the mainstage season of plays or dance showcases, have been a cornerstone of Winter Park for decades; it is vital to improve and maintain spaces which support this element of the arts within the community.